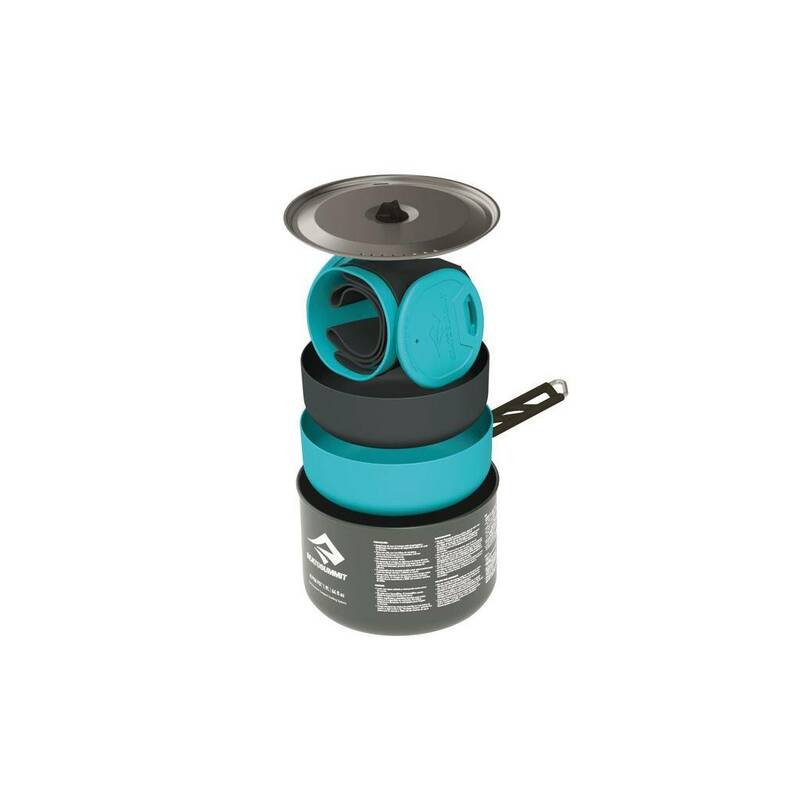 Designed with two people in mind, the Alpha™ 2 Pot Cook Set 2.1 is the perfect set for creating fresh and healthy meals in the backcountry. 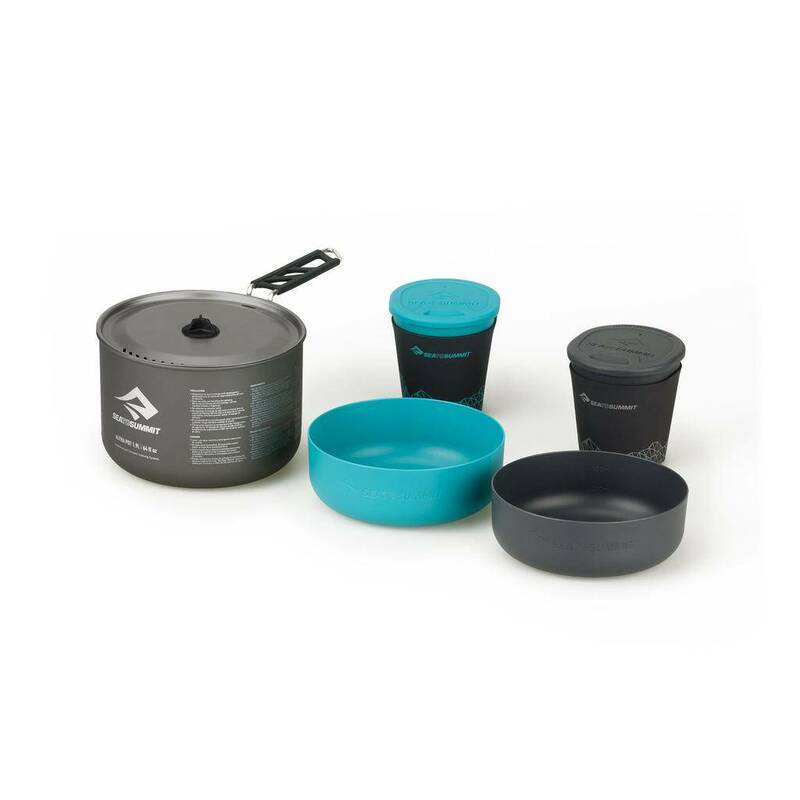 Using a hard-anodized alloy, the Alpha™ Pots provide a durable, abrasion resistant and easy-to-clean cooking surface. 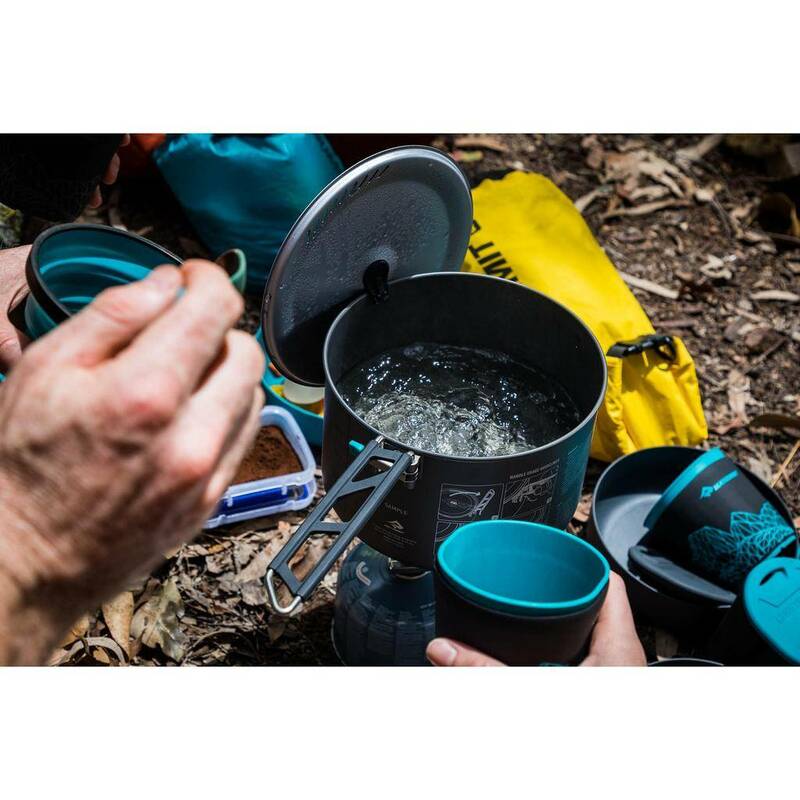 Featuring an innovative Pivot-Lock™ handle that locks firmly in place, unique slotted strainer pattern in the lid, silicone Lid Keep™, plus Delta Light™ dinnerware pieces that all nest together means you’ll be cooking up a gourmet storm with every camp meal you prepare. The new Delta Light Insul Mug is ideal for keeping your evening drinks cool and your morning drinks hot. This fits into the Delta Light bowl and both nest neatly into the 1.9L Alpha™ Pots for a lightweight, space saving solution.